February Recap: March your search forward! Happy March! The weather is finally beginning to warm up. It’s the perfect time to keep moving your search forward. February was a big month. I released four new episodes of the podcast, and was featured in a number of articles on sites including Glassdoor, Forbes, Girlboss, and The Montley Fool. Below is a recap in case you missed anything. I’m excited to report that the Copeland Coaching Podcast was also selected as a “Best Podcast to Boost Your Career” by Career Tree! If you haven’t already, please be sure to subscribe to the Copeland Coaching Podcast on Apple Podcasts. It makes the show easier for other job seekers to find. And with that, I hope you enjoy these tips from the past month! Have a wonderful week! 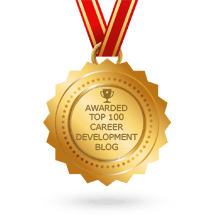 As I mentioned, I’m excited to share that the Copeland Coaching Podcast was selected by Career Tree as one of the Best Podcasts to Boost Your Career. To check out the entire list of podcasts, visit the Career Tree website. I am thankful to be included in this piece by Glassdoor. You may be able to guess the advice I gave. To check out all of the advice about job searching, read the entire article on the Glassdoor website. Forbes included me in this great piece about the place that analytics has for measuring team performance in today’s workforce. To get more advice on using analytics to measure team performance, check out the entire Forbes piece here. Kathryn Gates, Gates Therapy – Kathryn is a psychotherapist and fitness specialist who works with adults, teens, couples and families. Kathryn’s mission is to support her clients in healing their pasts and embracing their creativity to find their unique life purpose. Christine Laird, Oklahoma City Chamber of Commerce – Christine is the Manager of Talent and Business Growth at the Oklahoma City Chamber of Commerce. Previously, she was a Senior Recruiter for Kelly Services where she was consistently recognized as a top performer both regionally and nationally. February included a number of exciting topics on job searching, and the value of college. Treating employees with dignity – Part of my job is to work with professionals who have recently become unemployed. Layoffs are a part of life. Heartbreak doesn’t have to be. The Value of College – College is expensive. Private college is even more. What can colleges do now to increase the value of the education they’re providing? Love Your Job – February is the month of love.. It always happens just after we create our latest New Year’s resolutions. All these goals bring up an important question. Do you love your job? Diversity in Today’s Workplace – LinkedIn released its report on 2018 Global Recruiting Trends. They surveyed 9,000 recruiters and hiring managers from around the world on the state of hiring. Their research found that the biggest game changer in the hiring space is diversity. Learn more about their findings.